Lamps Gatcha (part 2) at The Arcade! The Arcade is back for another round! 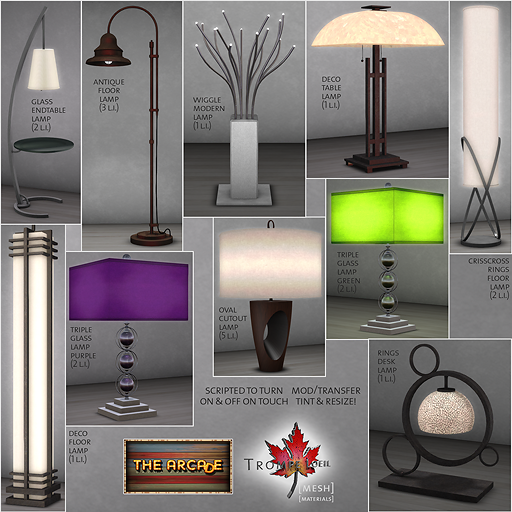 Our last Lamps gatcha went over so well we tried it again – grab 10 unique lamps with on/off hardware lighting and low, most materials-enabled, only $L25 per play and no rares!